Jing Yang industrial Co., Ltd was established in 1988 and it is subsidiary from Jung Fu industrial Co., Ltd. We are professional ABS sheets / Acrylic Sheets / PS Sheet / Plastics sheets manufactory and ability of design to production. The company locates in Changhua county, Taiwan. 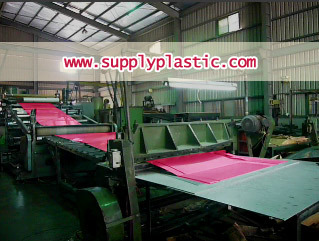 We have professional production facilities to qualify for manufacturing ABS plastic sheets、PS boards、PP boards、 Acrylic Sheets…etc. The product thickness is 1mm ~ 20mm and maximal width is 1220mm. The surface process are like texture granule、flat、polishing and clear flat. Otherwise, we are also requested to produce embossed board、pattern transferring board、film covering board、extreme polishing process and anti-scrape…etc by customer. We are keeping develop new production and our own new product is PMMA/ABS board. It has varity pattern and such like wood grain、flower pattern. It is generally used for POM doors/windows and construction. During our business for those years, we insist the principle of good quality and service and keep growing and improving. That made our ability which is competitive and good reputation. We base on maintaining good quality、innovation and experience of professional manufacture to reach customer needs. When we facing new challenge and opportunity, we commit to put quality、service and reputation in advance.